It’s really unfair how some people think that farmers don’t have a “real job,” when, in reality, a farmer not only has a job, but has three, four, even five different jobs. He’s the one who takes care of the cattle, the one who fixes the machinery when something goes wrong, works in the veggie garden, goes to the market to sell the products of the farm and, finally, takes care of the finances. 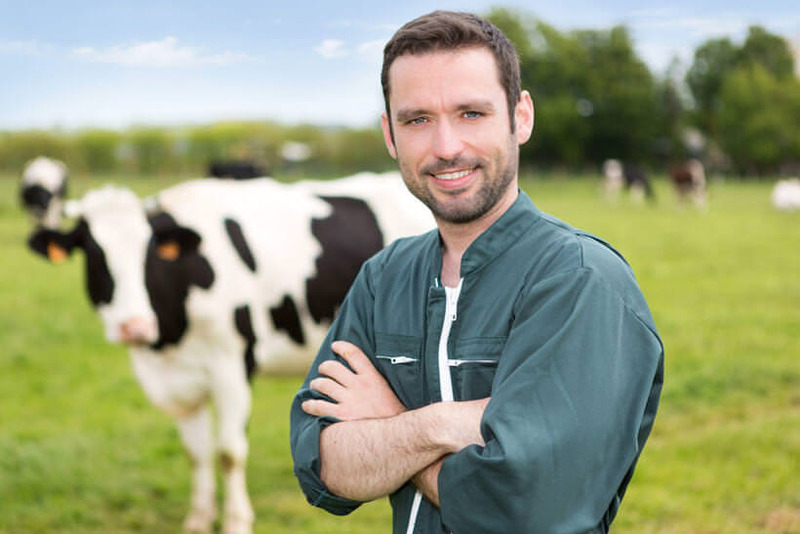 So what does a day in the life of a farmer looks like, with all those jobs? Our friend Matt, a 40-year old investment-banker-turned-farmer, gives us a look into his everyday life. In the spring and summer and for the better part of the autumn, I get up at or around 5am. I drink a cup of coffee and quickly brush my teeth and then go straight to the cattle, to see if everything is okay. If one of the animals is expecting, I have to check for signs of labor. So far I am still not able to deliver a calf on my own, so if I suspect the delivery already started, I have to call a vet right away. If everything is fine with the cattle, I go to the incubators to check the hens and pick up some fresh eggs. I change the water and refill the feeding trays for all the chickens, turkeys and ducks, and then go to the rabbit cages to do the same. Before I go to the greenhouse to harvest the vegetables, I make myself a small but hearty breakfast and another cup of coffee. I meet up with my aids and give each of them a chore or two. A farm this big cannot be tended to by a single man and the guys working for me are tremendously helpful. At the greenhouse, I pick the mature radishes, zucchini and broccoli, sort them and give them a quick wash, before packing them in large cardboard boxes. I set those away and move to another greenhouse, where I keep my seedlings. These need a good watering every morning in order to grow. I pick some of the dried out seedlings and check if everything is in order. Lunchtime comes early on my farm, simply because I get up earlier than most folks. I usually eat a nice salad fresh from the garden, topped with some cheese and perhaps some bacon, and fresh juice. Another cup of coffee is in order, of course. After lunch, I sit down to relax for 15 minutes and go through the newspapers. I also use that time to check if my girlfriend, who lives in the city, wrote me an email. Next, it’s time to pick some seedlings that are good to go and to transplant them in to the field, which is already prepared. I don’t have to do this by hand, since I own a tractor-pulled transplanter that makes the job much easier. Still, this job takes about two hours. After a quick snack, consisting of some fresh fruit and a chocolate bar, I go to another field, which is yet to be prepared for planting some winter crops, mainly squash. This is another job that is performed with the help of my trusted tractor, to which now I attach the disc harrow. As the sun sets, my assistants start taking the cattle from grazing and locking them in. It’s time to feed them, which takes approximately one hour. After that, we need to check if all the animals are inside their pens, coops, barns, etc., and to see if they are okay. A young calf seems to be having some problems with a leg. Nothing that would require immediate assistance, but still I call and schedule a vet’s visit for tomorrow afternoon. Next, I take a grand tour of my farm, checking every single corner of it, to see if everything is fine. There is always something that needs to be repaired. If I can fix it on the spot, that’s great. If not, I put it down for the next day or ask one of my assistants to do it later. This time, it’s a leak in the roof of the barn. It’s not urgent, since it’s not supposed to rain, but still needs to be fixed. One final tour of the chicken coop and the incubators. Some new chickens have hatched during the day, which always makes me happy. There are some fresh eggs in the coop too, so I pick those up and add them to the box that’s waiting to be sent to the market. Before dinner, I load the truck with all the vegetables, fruit, eggs and milk for tomorrow’s trip to the market. We go to the market every other day to sell our products. Sometimes I go, sometimes I send one of my assistants. Tomorrow I’m going myself, because I have some other business I need to take care of in town. I fix myself and my assistants a quick dinner of fried potatoes, some nice medium-raw grilled steaks, fresh salad and corn on cob. After I finish the dishes from the dinner, it’s time to finally relax, but I have to check the cow to see if there are any early signs of labor yet. Fortunately, all is calm there, so I finally can take a nice hot shower and go straight to bed. Tomorrow is going to be another long day. Whether you want to meet a farmer for friendship, a casual relationship or marriage, this is the place for you. 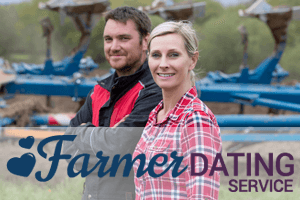 Check out this objective Single Farmers Dating review to find out more. 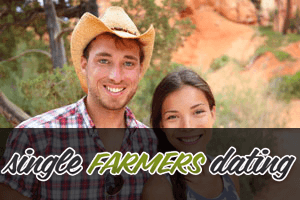 Among numerous dating websites on the internet, Farmers Dating Site stands out as one of the best. Read this Farmers Dating Site review to find out why new members are joining the site every day. Want a partner who lives in the countryside? 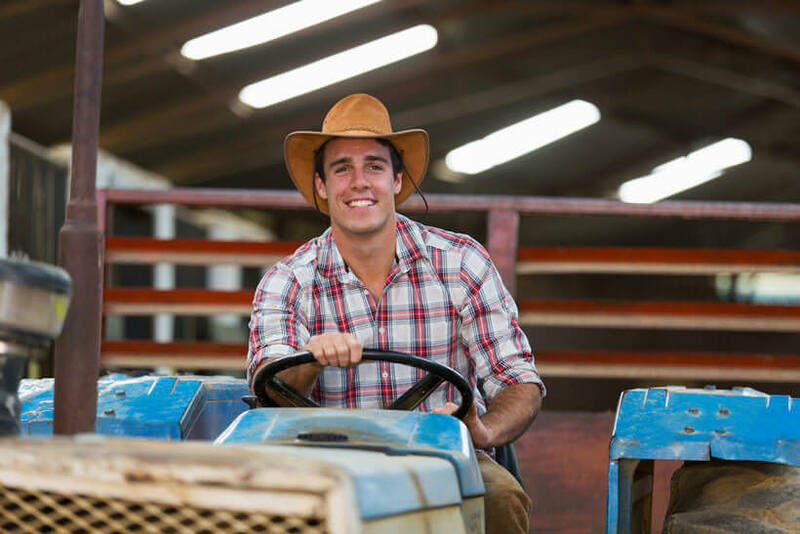 Farmer Dating Service gives single farmers and those who would like to meet them an opportunity to get to know each other and find the perfect match.